How farmers are using the Internet to reach and satisfy customers. From simple email messages to elaborate websites, farmers are using the Internet to reach and satisfy customers. It's not too surprising that CSAs (Community Supported Agriculture operations) are leading the way. But producers are also tapping the 'Net to sell livestock products, grains, fruits and vegetables, specialty items and even compost. You can also glean good ideas from food company websites. In August '98, five western Minnesota farms working with the Land Stewardship Project (LSP) and the Sustainable Farming Association (SFA) of Western Minnesota created prairiefare.com, a website that helps them sell their meat, fruit and other products to consumers who want to help support sustainable agriculture. Below are some of the best examples we've found. But we're also building a page of additional marketing links. Let us know about your site or others you think should be on the list. See also Internet Marketing for Farmers at the Publications for Farmers page at the King County (Washington) Cooperative Extension website. Eatwell Farm -- This website for Frances and Nigel Walker's California CSA is one of the best on the 'net. In addition to the usual info for current and prospective shareholders the site also features newsletters, recipes, information about the farm (including a diary and weather info) and much, much more. Don't be intimidated if you think you need to achieve these high standards to market your CSA on the net. Surf the Walkers' links to other CSAs around the country to see a variety of approaches that can help you can succeed in net' marketing with a more modest site. Full Circle Farm -- Marcie Rosenzweig 's weekly email message helps keep shareholders in her California CSA informed and involved. Here's a sample. prairiefare.com -- Five western Minnesota farmers, working with the Land Stewardship Project, use this site to sell beef, pork, poultry, apples and other products. They also share information about their goals and farming practices. Kaehler's Mill Farm -- Wisconsin graziers Kay and Steve Castner describe how they produce beef and lamb on quiet, chemical-free pastures, and provide a print-out, mail-in form for customers. They also sell wool and purebred Galloway cattle and Targhee sheep at the site. Hog Wild Specialties -- Deb and Earl Hagman raise European Boars on their Alberta ranch, and use this website to help promote sales of their fresh and processed meats and certified breeding stock, as well as barbecue services and bowhunting. Good stories and pictures profiling their operation and an on-line order form. Egg Farm Dairy -- Cheesemaker Jonathan White and Chef Charlie Palmer founded Egg Farm Dairy in 1993 by to return butter and cheese to their lost grandeur. Offerings include mail-order cheese samplers and the sure-to-please Box O' Butter -- 12 pounds, shipped frozen. "Toss it in your freezer, and you're set for at least a few weeks!" Also info about the "Jonny Applecheese" project, which is designed to help farmers boost profits by making and marketing unique dairy products. Lundberg Family Farms -- In addition to a mail-order catalog, great rice recipes and this famous organic farm's newsletter (aptly titled "The Lundberg Rice Paper"), this site features a beautiful on-line brochure, A Partnership with Nature detailing the family's farming practices and their positive impact on wildlife. Troy Bogdan's Home Page -- Troy tells potential customers about his Pure Earth Organic Farm via @griculture Online's Homestead. This free service helps you build and maintain a simple homepage on their server. Troy also maintains a site there for the Western Pennsylvania Chapter of the Organic Crop Improvement Association . Also check out Troy's new page. Homer Produce Auction -- This fledgling effort is providing new diversification opportunities for dairy farmers. Twin C Shiitake Mushrooms -- An attractive logo and background, ordering information, recipes, and even some shiitake history and links. 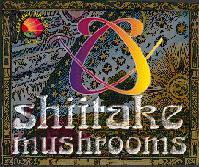 This site stresses the health benefits from eating certified-organic shiitake mushrooms, while enjoying gourmet meals. Farmer's Market Online -- If building your own website never seems to make it to the top of your to-do list, consider renting a booth at this virtual marketplace. The site also features Shopping Lists, where potential customers list products they're looking to buy. Whitney Farms -- When you turn 30,000 pounds of manure a week from the Portland, Oregon's Metro Washington Park Zoo into composted organic fertilizer, it helps to have a good sense of humor. And this site is one of the funniest (as well as most informative) on the 'Net. Lots of good advice here for Whitney Farms' customers (primarily organic gardeners) in the Ask the Dirt Doctor and All About Organics columns, and be sure to check out the latest entries in the Name That Poo contest. Cascadian Farm -- Cascadian Farm is more than a farm, it's a diversified organic food processing company. So you'd expect that it's website would be something more -- and it is. In addition to the usual product descriptions, you'll find a database that helps customers locate nearby health food stores, updates on the progress of USDA's National Organic Standards Board, clip art stores can download and use to create ads, a helpful FAQ, related links, and more. They even offer a free "... Farm Like You'll Farm Forever" bumpersticker. Worth checking out. Walnut Acres -- This site offers an interesting history of this pioneering farm and mail-order food business. Founded in '46 by Paul and Betty Keene, Walnut Acres established the first organic certification program. Site also features extensive product listing and ordering and shipping information. Rocky Mountain Flour Milling -- Rocky Mountain's new and growing site serves two audiences. Bakers and food producers can learn about the mill's products, analytical services and seminars. And prospective growers can find out what it takes to grow the high quality organic wheat the mill seeks.